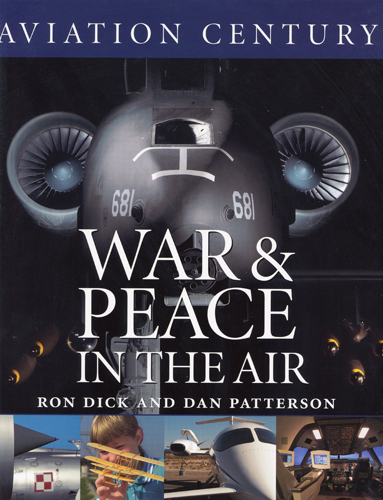 War and Peace in the Air is the final book in the acclaimed five-volume Aviation Century series. War and Peace in the Air explores the influence of aviation in the major wars and minor conflicts since World War II. The authors also examine the dangers of flight, including airborne disasters, accident investigations and threats from terrorism, and speculate on the myriad ways in which aviation will change in the near and far future. Included are: The introduction of the jet engine and the changes it brought in training, logistics and administration; improvements in weaponry, avionics and aircraft systems in the transformation of basic bombers and fighters; the history of flight safety, from the first air fatality in 1908 to the disaster-prevention tactics introduced to defeat modern terrorist threats; and profiles of 21st century aircraft, plus the future in aviation--including collision avoidance systems, computer-driven air-traffic control, and the return of supersonic travel. Rare archival photographs and newly photographed color images add to the entertaining and informative text. All the current photographs have been shot on site or in museums, collections or in the field.